If you’d like to understand more about dive computers and learn how you can use tools like the eRDPML or your computer’s dive planning mode to plan multilevel dives, then the Multilevel Diver Specialty course is for you. If you’re an Open Water Diver who is at least 12 years old, you can enroll in the Multilevel Diver course. During a 1/2 day classroom session you’ll review decompression theory as it relates to multilevel diving and dive computer models, and plan multilevel dives using the eRDPML or your computer’s dive planning mode. During the first of your two multilevel dives, you’ll plan and execute a two-level dive, and on the second dive, you’ll complete a three-level scuba dive. The first dive of this course may credit as an Adventure Dive toward your Advanced Open Water Diver certification. Contact me to obtain an eRDPML and Instructions for Use booklet or if you already own a dive computer, familiarize your with the manufacturer instructions, to include the functions, capabilities, and limitations of your device. 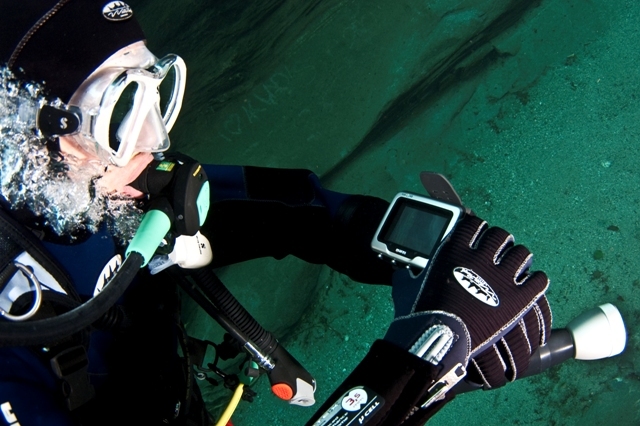 Besides your basic scuba equipment, you’ll want to have your own dive computer and a slate to record dive information.